iPod Shuffle 1G. First iPod Shuffle, 11 January 2005. Avaliable in 512MB and 1GB.. Wallpaper and background images in the iPod club tagged: ipod mp3 shuffle. 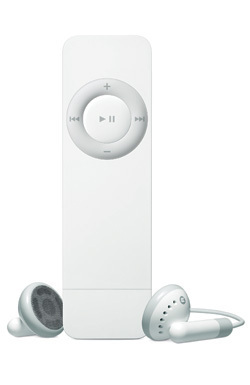 First iPod Shuffle, 11 January 2005. Avaliable in 512MB and 1GB.